This might be another location name that trips me up. My assumption is it’s pronounced “Hoe as in garden implement! 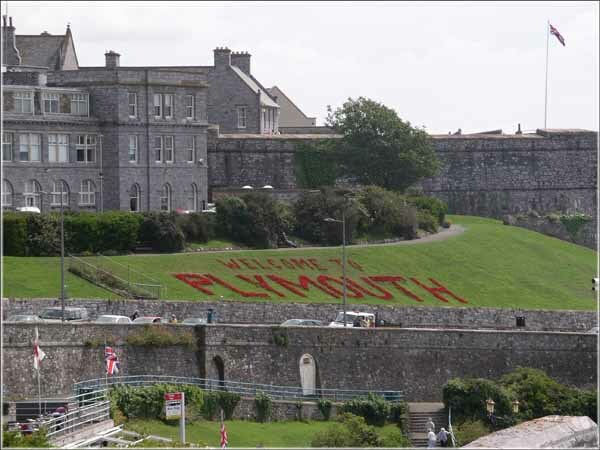 Anyway, Jan and I walked down through the city to “The Hoe” in Plymouth. 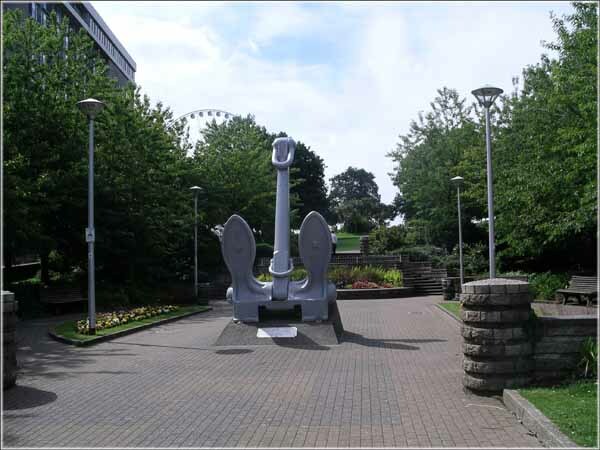 Along the way we passed this anchor which is from HMS Ark Royal. My guess is it’s the Ark Royal aircraft carrier rather than one of the earlier RN vessels of the same name. Which ever ship it’s from I’m glad I wasn’t manning the capstan winch to raise it from the murky depths. The Hoe is reputedly where Drake was playing bowls when the Spanish Armada attempted to disrupt the game. It’s a long ridge facing south towards the sea and the approach to Plymouth harbour. 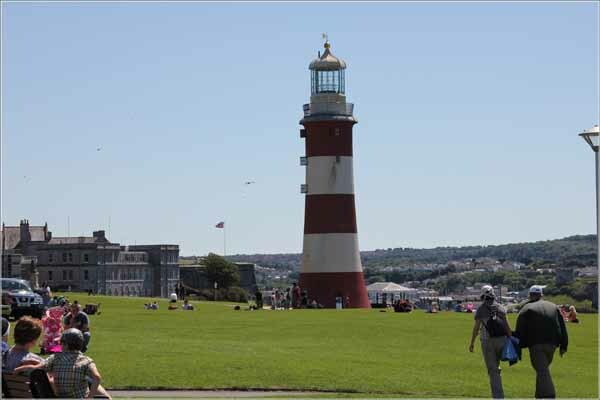 The lighthouse is Smeaton’s Tower and was originally constructed 14 miles away on the Eddystone Rocks. 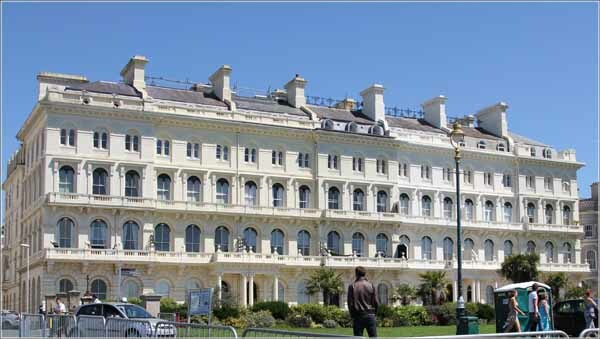 In 1877 it was dismantled and re-erected on the Hoe. Behind it is the Royal Citadel. 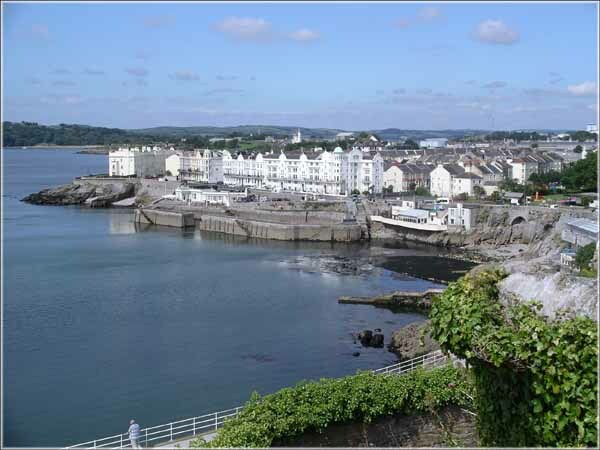 The Royal Citadel was constructed at the western end of the Hoe as part of the interlocking harbour defences but also built to intimidate the locals who at the time had leanings towards Parliament rather than the King. The front face of the Hoe is a grass covered slope whilst the top is a flat area of bitumen used either as a car park or for parades. On the city side facing the harbour are some interesting older buildings. The Royal Hotel is at the end and does a great lunch.